Nothing says the holidays like a delicious piece of melt in your mouth fudge...and the chocolate smeared, blissful face of your three-year-old. 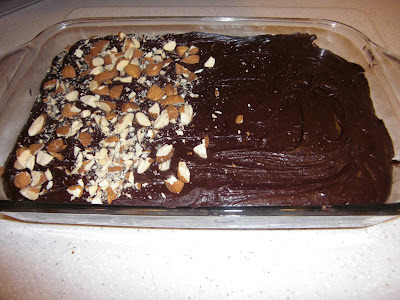 This is a fabulous recipe for healthy fudge. Not low calorie...but delectable. This dark chocolate fudge is both raw and free of all refined sugars. It is chock full of healthy (albeit expensive) ingredients. We are packaging pieces of this for Great-Grandma and Mimi (grandma) for Christmas from the kiddo's. Blend raw almonds in mixer until fine powder. Combine all ingredients and mix. Cover and chill 1 hour or more. Blend till completely smooth. Pour into chilled tart crust. Lift: drop to release air bubbles. Store in freezer to keep firm. 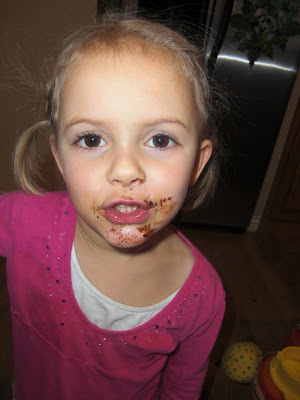 Cute little girl with a chocolate mustache is not included in the recipe. Make your own. It's fun. Trust me!